Having the most fun in your car is often tied to getting the best out of it, but also yourself. 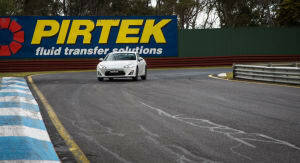 And one of the best ways to do both is to head out to a racetrack for some high-level advanced driver training. 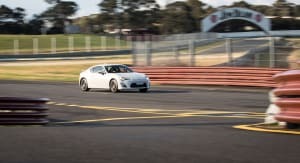 So we’ve returned to Melbourne’s Sandown Raceway for another CarAdvice weekend warrior track test to put the 2015 Toyota 86 through its paces. 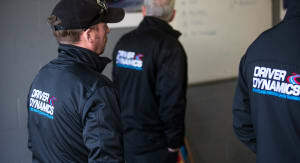 Here again to take part in a Driver Dynamics Level 3 High Performance driver training day, we roll through Sandown’s main gates and up onto pit lane to line up with the rest of the day’s participants. Joined by Audi, BMW, Mercedes-Benz, Subaru and Volkswagen owners, we head into the ‘classroom’ garage for a drivers’ briefing, along with two lucky sods there to drive their Lotuses, one proud Mitsubishi Lancer Evolution V owner and a young lawyer eager for some quick laps in his red Renault Megane RS265. With key topics such as safety, technique, ‘The Big Skid’, fences and insurance, brakes, track direction, conditions, helmets, flags, and spectators all addressed, we’re allocated a group and wander down to ‘prep’ our White Liquid 86. 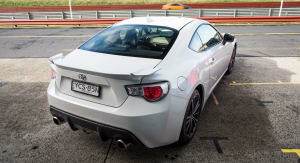 Sitting atop the Toyota 86 range, our test car is a flagship GTS. 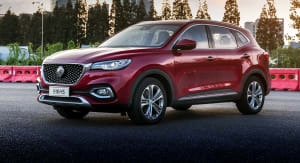 Priced from $35,990 plus on-road costs, it starts $6000 dearer than the base $29,990 GT and comes standard with HID headlights, satellite navigation, heated seats, a rear spoiler and 17-inch rather than 16-inch alloy wheels. 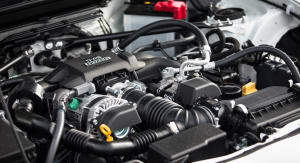 Regardless of trim, you get a torsion limited-slip rear differential and the same naturally aspirated 2.0-litre horizontally opposed ‘Boxer’ engine with 147kW of power at 7000rpm and 205Nm of torque at 6600rpm. 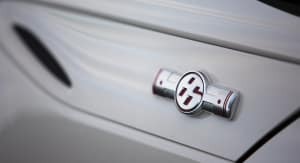 Buckled into the GTS’s part-leather seats, two things are immediately appreciated: the 86’s intelligently twin-scalloped roof (creating additional helmet clearance) and headrests that have been specifically designed with racing in mind (they can be taken out and flipped 180 degrees to avoid headrests pushing heads forward once helmets have been donned). 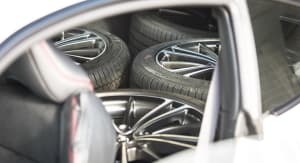 Another neat track-day trick up the Toyota’s sleeve is an ability to, with its single-piece rear seatback folded down, accommodate four full-size wheels and tyres behind the driver and front passenger. Legitimately impressive, given the compact 86 is 55mm shorter than a Nissan Pulsar, it’s also seriously handy if you’re keen to run a set of motorsport-spec tyres. 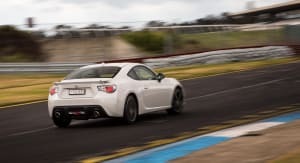 Claiming a 0-100km/h time of 7.6 seconds, the 86 is unlikely to win many straight-line battles, but a top speed of around 180km/h down Sandown’s 900m-odd front and back straights isn’t too shabby. 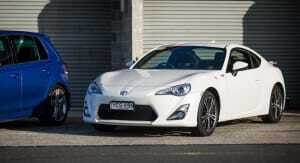 Importantly, though, the 86 is about more than numbers. It’s about the bond between car and driver and getting the best out of both, no matter what. 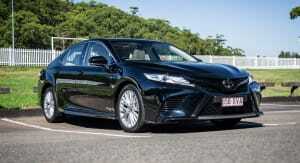 While outright engine performance might not be earth shattering, the throttle response attached to it is outstanding. The steering too is quite simply phenomenal. Sharp, responsive, direct and with plenty of feedback. 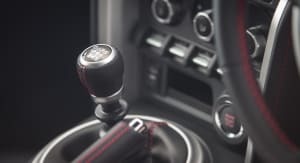 Sure, it is a little weightier than some new cars out there, but in this day and age of adjustable driving modes that tend to favour additional weight over anything else, the 86 offers some of the best steering you will experience on any car, regardless of price. 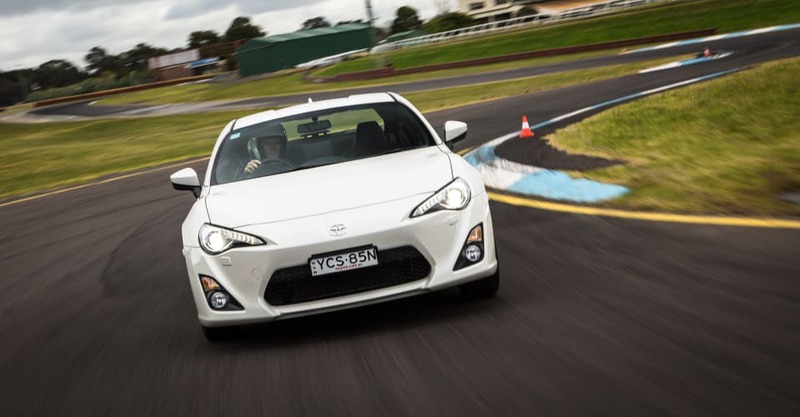 Hustling through Sandown’s 13 turns, the 86, while far from being ultra firm, sits largely flat in most situations, yet remains generally compliant over ripple strips and the like. Easily liveable for day-to-day duties, the setup is also forgiving enough to allow a little pitch and yaw. 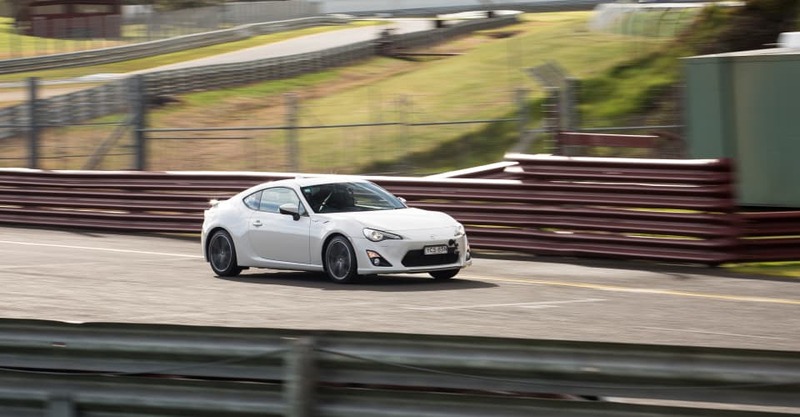 Apart from adding to the fun and experience of driving an 86, the controlled roll lets you play with and exploit weight transfers brought on by minor prods or lifts of the throttle or brake. 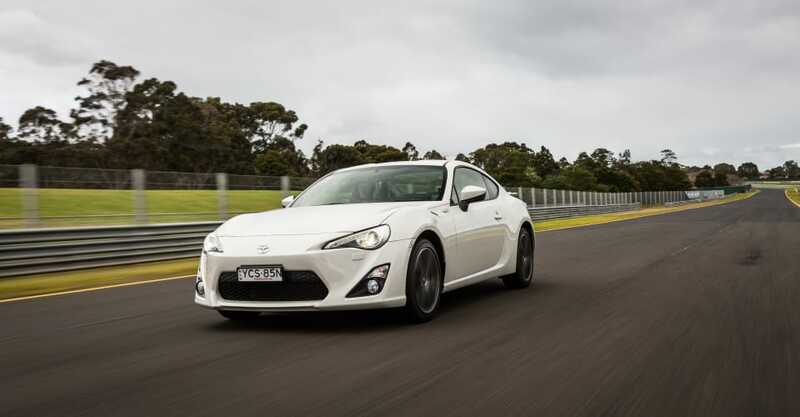 The slick-shifting six-speed manual gearbox is nice and notchy, however, the 86’s brakes start to let the team down after only a few enthusiastic laps. 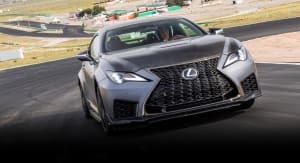 Progressive in feel and acceptable for two or three consecutive hot laps, the two-piston caliper fronts/single-piston caliper rears – with ventilated discs all round on the GTS – are one area of the car that quickly hints when things start to move beyond their comfort zone. 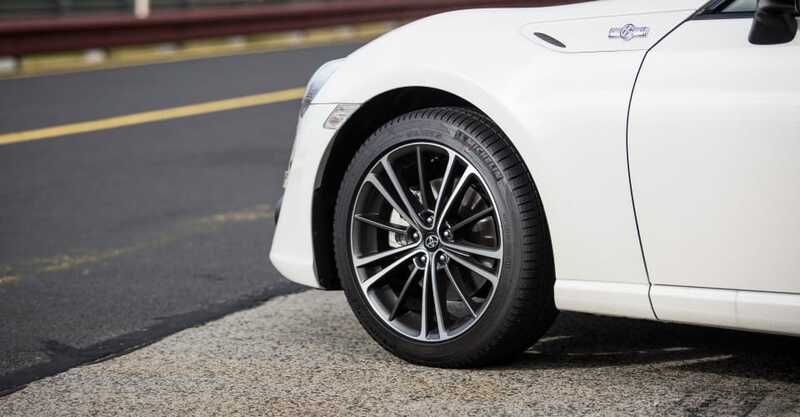 The standard 215mm-wide 45-aspect Michelin Primacy HP tyres are another. Especially frustrating when you’re piloting a light, relatively underpowered car, more grip (particularly lateral grip through the corners) would mean you can hold higher cornering speeds, giving you the edge to catch up to some of those faster cars that are just that much quicker in the straights. 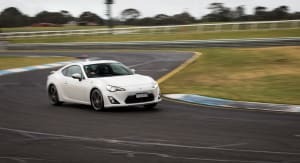 After our day at Sandown, the 2015 Toyota 86 proved a largely positive experience and a hell of a lot of fun. 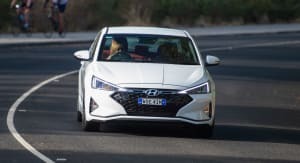 Yes, we were left wanting for a bit more tyre grip and slightly more robust brakes, but feedback and driver engagement is what this little Japanese sports car is all about. 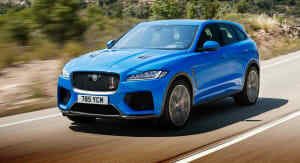 And it tells you everything that’s going on: wheel spin or slip; if you’ve left your braking a little too deep; if you’ve gotten onto the power to early or late; how the chassis is sitting; how much steering you’ve got on; and how much body roll or lean you have – everything is cleanly and clearly translated to the driver. 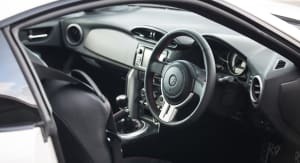 The Toyota 86 may not quite be destined to become the same sort of cult figure as its namesake, the original Toyota AE86, but – apart from being the cheapest rear-wheel-drive sports car you can buy – for keen drivers willing to challenge themselves, it’s actually also one of the best. 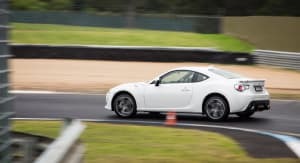 Note: CarAdvice attended the day at Sandown Raceway as part of a Driver Dynamics Level 3 High Performance driver training day. 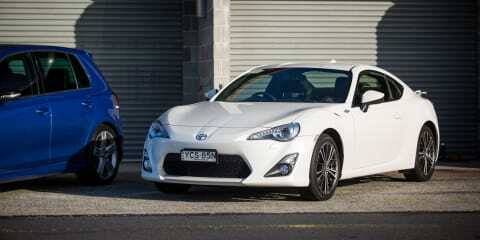 Click on the Photos tab for more 2015 Toyota 86 images by Tom Fraser.